Over 20 Years In Business - Amazing Customer Base - With Room To Grow! If these walls could talk! 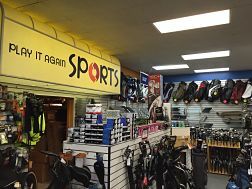 As the fourth oldest store in the Play It Again Sports system, thousands of kids, adults, teams, schools and parents have found tremendous value, quality merchandise and superior customer service at this location in Eugene! The owners of this location are simplifying their operation to focus on their location in Corvallis as they prepare for retirement. This location is profitable and is a great opportunity for an owner operator to step in and immediately drive sales. 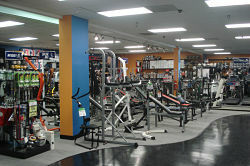 None of the big box competitors in the area can compete with the trade in value offered by Play It Again Sports. We buy our inventory from our customer which allows them to create their own discount by selling us items they're no longer use. We in turn pay them cash which they can spend on a new purchase in our store. This cycle continues year after year, season after season. 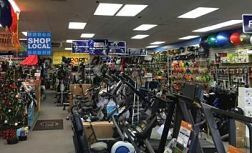 This store has an established cash flow and has operated as almost a satellite location with the owners primary location being in Corvallis. The Eugene market has supported this store for over 25 years and a hands on owner operator focusing specifically on this location will have an immediate impact on top line sales.